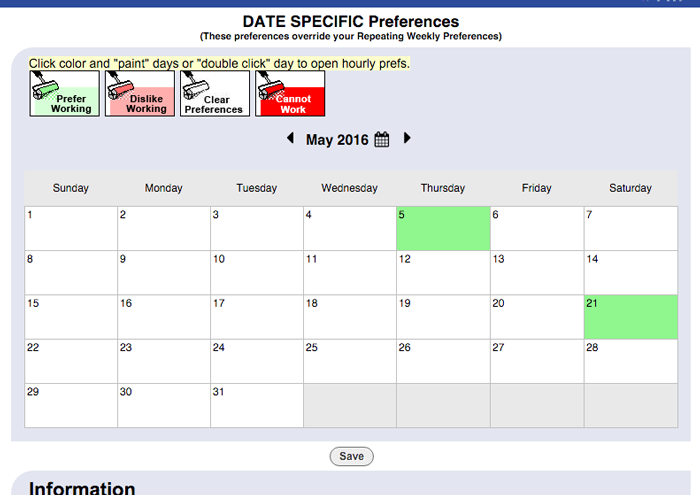 You can set REPEATING WEEKLY PREFERENCES when you like and dislike working and also set DATE-SPECIFIC PREFERENCES for any special days. 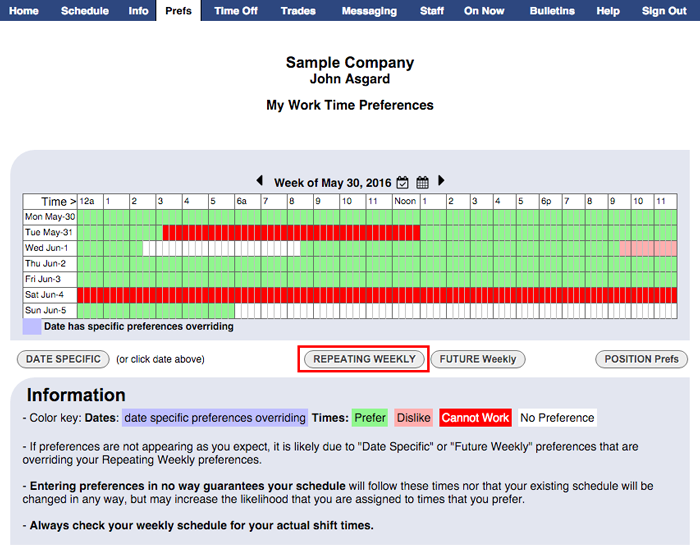 In the top menu, choose Prefs to go to My Work Time Preferences page. 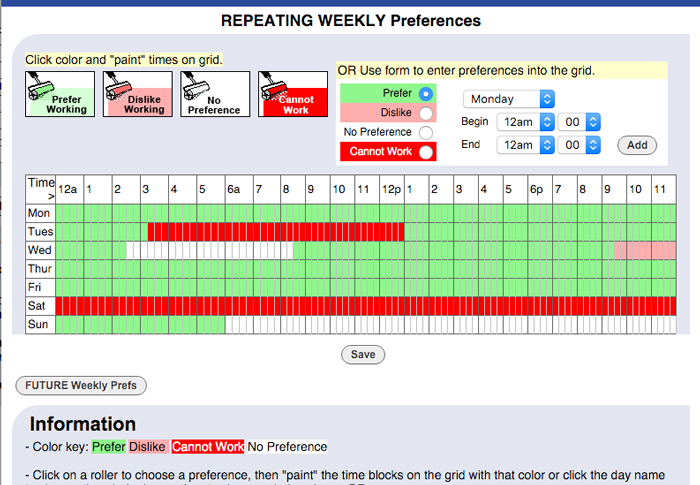 Click the REPEATING WEEKLY button. Note your manager may have set up 'Cannot Work' times for you and they may not allow you to change those. 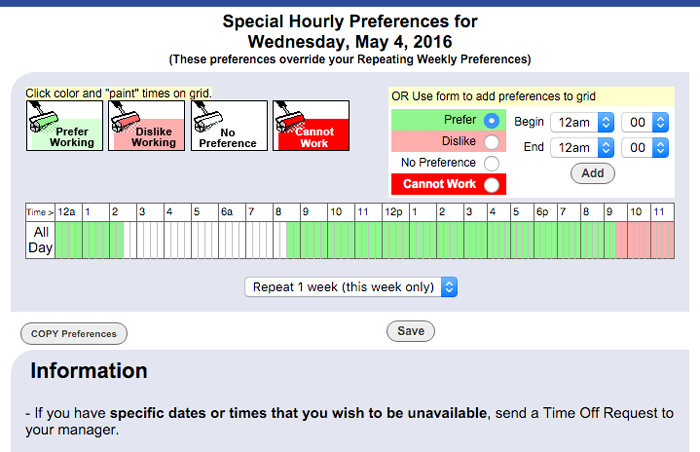 Note: If you set hourly preferences on a specific day, you can also choose to repeat those preferences over a number of weeks (up to 10) before clicking the Save button.